SKU: MATHUNCOLL2. Categories: Books, Richard Matheson. 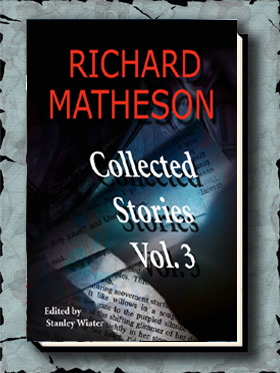 Here we have Volume Two of our Edge Books imprint publication of RICHARD MATHESON: COLLECTED STORIES. It is an expanded tradepaperback version of the 1989 Dream/Press hardcover limited edition. Volume One was published in 2003, and Volume Three in 2005. 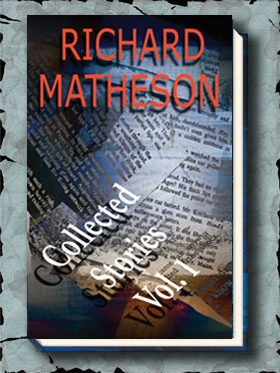 Finally, Matheson wrote a deeply revealing Introduction for the collection. As Matheson himself states in this Introduction, “A twenty-year period of creativity reduced to the psychological background of my output of fantasy and science-fiction stories.Â If this were a thesis, that would be my premise”. 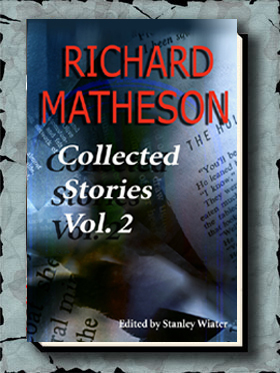 As with Volume One, for Volume Two editor Stanley Wiater has included a “bibliophile” at the end of each story containing Matheson’s very own commentary on the behind-the-scenes details of each story. Each story is also listed with it’s original publication date and place of publication.